Did you know your response to color is not only learned, but inherited? Colors cause your brain to release chemicals, which subtly influence your mood, but there is also a culture of color that influences your response. What follows is a general anatomy of the physiological and cultural impact of common colors. When the eye sees red, the brain releases stimulating chemicals that increase both heart rate and blood pressure. As the color that attracts the most attention, we link red with both energy and aggression, courage, passion, anger, love, and seduction. Some studies have shown that we feel warmer in a red room. Bright red is a natural stimulant, as it promotes courage and fearlessness, so try using a pop of it in various areas throughout your home. Re-decorating your office space? 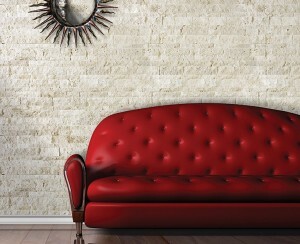 A soft, dusty red or terra-cotta is the best color for work environments. Traditionally, pink is the color most associated with charm, politeness, sensitivity, sweetness, softness, childhood, the feminine, and the romantic. However, this color is quite powerful as intense pink is a tranquilizer. A hue called Baker-Miller pink, also known as “Drunk-Tank Pink,” is known to calm criminals from hostile, violent or aggressive behavior. Since pink promotes comfort and tenderness, try using it in a room where you would want to increase receptivity and understanding, such as a living space. Which came first: The color or the fruit? The color is actually named after the fruit! It is named after the fruit’s ripe appearance. The name itself comes from the Old French orange, from the old term for the fruit, pomme d’orange. Orange combines the energy of red with the happiness of yellow. Studies show that when orange is combined with any dark color, more people will be attracted. Orange has also been shown to boost confidence, so use a pop of it anywhere in your home where you want to boost your self-esteem. Although yellow is the first color your eye sees, it requires the most complex visual processing. Shades of yellow are typically associated with joy, happiness, optimism, amusement,ambivalence and contradiction. It’s thought to work on the anxiety centers in the brain. Yellow is an attention-getter but is probably not a good choice for a room where you’ll spend a lot of time. Expecting a baby? Although most people go with yellow as a “gender neutral” color, children actually cry more in yellow rooms than any other room tested. In contrast, the color is also known to promote mental agility and enhance intelligence, so try it on a bookshelf or as an accent color in an office. Green represents a variety of feelings and emotions. Everyone knows the saying, “Green with Envy,” but green also stands for much more. Hues of green are also associated with nature, vivacity, life, equilibrium, and lack of movement. As a color of fresh starts and growth, try using it by (or on) your front door or in the entrance way. 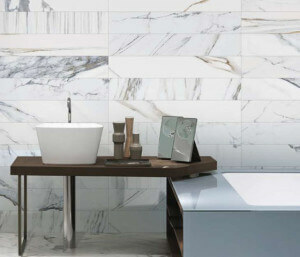 It also represents freshness and rejuvenation, so it’s a perfect color for bathrooms. Interesting fact: As certain shades of green, like forest and hunter green, are a symbol of prosperity, these are colors that also only appeal to 3% of the population. Coincidentally, this is the 3% of the population that has the most money. Blue is America’s favorite color, with 4 out of 5 Americans preferring blue to any other color. Blue is the color of trust, peace, order, and loyalty. 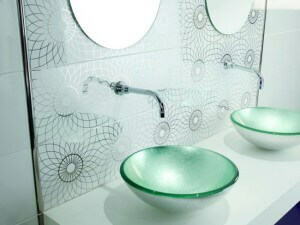 A cool, calming color, it also shows creativity and intelligence. Known as “The Great Calmer,” when the eye sees the shade of the true blue, also known as “cardiac blue,” the brain releases eleven different tranquilizing chemicals. The color is known to reduce blood pressure. It’s a perfect color for bedrooms and/or study nooks, as it will help you relax and think clearly. Purple is most often associated with royalty, magic, mystery, vanity and piety. As well, a lighter shade of purple encourages a fresh perspective with emotional issues. It’s a perfect color to use in your home where family gathers, such as a dining area, to enhance compassion and togetherness. As the most predominant color on the plant, brown is a serious, down-to-earth color that signifies stability, structure and support. 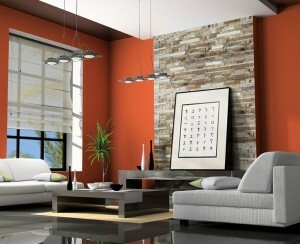 Re-assuring comfort and safety, shades of the color are quite common for usage in the home. In both interior and exterior, from decor and furniture to the colors on the wall, there’s probably some shade of brown in your residence. While we link white with purity, light, refinement and precision, white is actually the last choice on any color preference test. The white hue has always had scientists puzzled; they have been unable to find any glandular response to the color at all. Ever wonder why objects that are expected to be clean, such as refrigerators and dishes, toilets and sinks, bed linen and towels, are traditionally white? White represents cleanliness. Grey is the color of conformity, reflection, shadows and old age. Grey is the only color for which you see no after-image. It’s the simplest color for your eye to process. It has been gaining popularity in home furnishings and decor because it is a simple, neutral hue that can work well with any other color. Did you know? Experiments at Harvard in the 1950’s showed that creative people work best in grey. Maybe because it’s the least distracting than any other color? Black is associated with power- sometimes sinister power, darkness, and with mourning. Black is actually absent of all color, so no wonder in science there is no known glandular response to black. 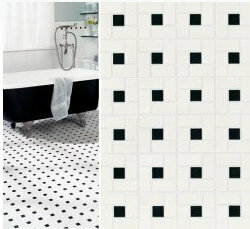 Black is typically paired with its opposite, white, to show balance. Interior Design 101 As an old adage in interior design: by adding a black element, you clarify and enhance all the other colors in the space. Try it! Byrd Tile is here to help. We have interior design experts on staff to help you determine the best color and design for your home. Contact us today to set up your consultation.